The global emergence and re-emergence of arthropod-borne viruses (arboviruses) over the past four decades have become a public health crisis of international concern, especially in tropical and subtropical countries. A limited number of vaccines against arboviruses are available for use in humans; therefore, there is an urgent need to develop antiviral compounds. Snake venoms are rich sources of bioactive compounds with potential for antiviral prospection. The major component of Crotalus durissus terrificus venom is a heterodimeric complex called crotoxin, which is constituted by an inactive peptide (crotapotin) and a phospholipase A2 (PLA2-CB). We showed previously the antiviral effect of PLA2-CB against dengue virus, yellow fever virus and other enveloped viruses. The aims of this study were to express two PLA2-CB isoforms in a prokaryotic system and to evaluate their virucidal effects. The sequences encoding the PLA2-CB isoforms were optimized and cloned into a plasmid vector (pG21a) for recombinant protein expression. The recombinant proteins were expressed in the E. coli BL21(DE3) strain as insoluble inclusion bodies; therefore, the purification was performed under denaturing conditions, using urea for protein solubilization. The solubilized proteins were applied to a nickel affinity chromatography matrix for binding. The immobilized recombinant proteins were subjected to an innovative protein refolding step, which consisted of the application of a decreasing linear gradient of urea and dithiothreitol (DTT) concentrations in combination with the detergent 3-[(3-cholamidopropyl)dimethylammonio]-1-propanesulfonate hydrate (CHAPS) as a protein stabilizer. 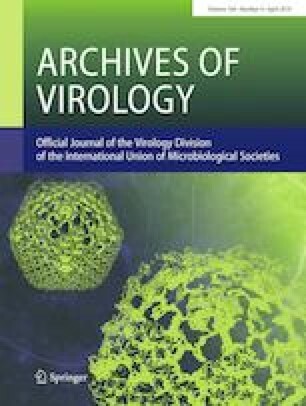 The refolded recombinant proteins showed phospholipase activity and virucidal effects against chikungunya virus, dengue virus, yellow fever virus and Zika virus. The online version of this article ( https://doi.org/10.1007/s00705-019-04172-6) contains supplementary material, which is available to authorized users. This work was supported by the Sao Paulo Research Foundation (FAPESP), grant no. 2014/02438-6) and the National Council of Technological and Scientific Development (CNPq) (grant no. 479512/2012-4). RR was supported by a FAPESP scholarship (grant no. 2012/12605-1) and VHA holds a CNPq-PQ fellowship (grant no. 306471/2017-5). All animal experiments were performed according to the guidelines of the Brazilian College of Animal Experimentation and were approved by the Ethical Committee on Animal Experimentation of the Campus of Ribeirao Preto, University of Sao Paulo (CEUA/USP-RP, Permit. Nº 12.1.1854.53.8).